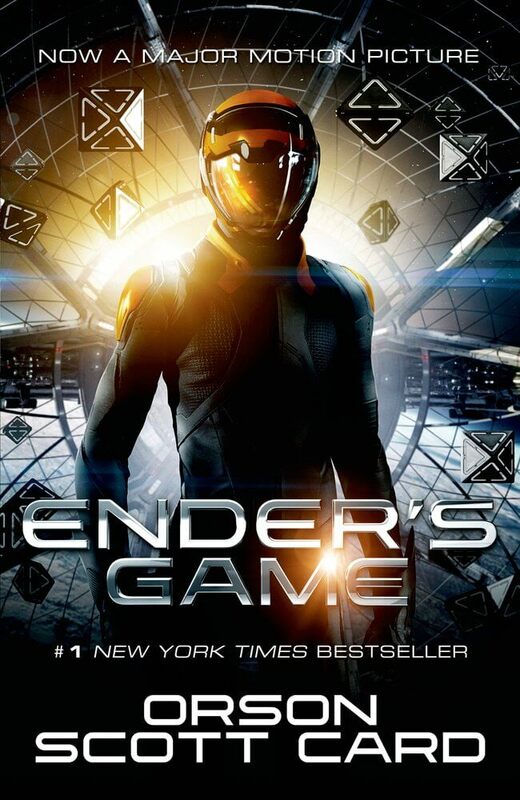 When I saw Ender’s Game in theaters I knew I was going to have to re-read the book. It’s one of my favorites (I’ve reviewed it once before) and it was well-worth a $3.99 impulse buy on my Nook. So, three years and a major motion picture, how does this book stack up? More than ever, re-reading Ender’s Game convinces me that this book will become a classic. Ender is a six-year-old, third-born of the Wiggin family. After standing up to bullies at school, he is contacted by the International Fleet. His new job? Studying at battle school to defend against the Buggers, an advanced alien race that nearly destroyed earth once. The Fleet is convinced that Ender is the last hope of mankind, putting him up against challenge after challenge to prepare him to fight the bugger menace. That’s the surface level about it — but Ender’s Game is special especially for what’s below the surface. The subtext and hidden meaning in this novel is there for the picking — Orson Scott Card wrote in the introduction that the book is a good story, with as much hidden meaning as the reader chooses to read into it. In many ways, reading the novel a second time let me focus on the good story without trying to dive into and deconstruct the meanings behind the story. Still, certain things shine through. Ender’s questionable relationship with the authorities in his life is very interesting. The International Fleet pushes Ender through his education, all the while painting the buggers as the enemies and his motivation to continue. But Ender wrestles as he realizes that maybe it’s the adults, the authorities in his life, who are pushing him to places he should not be. It’s a fascinating question to wrestle with, especially when Ender finds that his actions have had implications that the IF has kept quiet. Ender’s Game is full of philosophical questions about existence, humanity, and authority. But the beauty of this book is the same beauty of Narnia. The meaning is there, if you care to hunt for it. But if you’re in the market for a good story, you’ll get a really really good story, no more. Laser blasts, ships flying around, battles and formations in a glass room in outer space — who wouldn’t like that? Right up my alley, at least. There’s humor, action, and tense battle scenes. Be forewarned, there’s the type of deep and disturbing violence that will stick with you after you close the cover. Though it is filtered through the eyes of a six-year-old, Ender is not your ordinary six-year-old — which may make the book less or more disturbing, depending on how you’re wired. Real. Not a game. Ender’s mind was too tired to cope with it all. They weren’t just points of light in the air, they were real ships that he had fought with and real ships he had destroyed. And a real world that he had blasted into oblivion. He walked through the crowd, dodging their congratulations, ignoring their hands, their words, their rejoicing. When he got to his own room he stripped off his clothes, climbed into bed, and slept. Disturbing, maybe, but necessarily and masterfully so. In my opinion none of the darkness in this book is meaningless. Quite the opposite: it’s used to emphasize a very powerful meaning. Orson Scott Card has done a tremendous job with this book, so much so that new Sci-Fi books are compared to it (more on that next week). It’s an enduring classic, providing deep questions for those who want them, and an intense, gripping story for those who don’t.